In the hierarchy of scientific principles, the scientific consensus – that is, the collective opinion and judgment of scientific experts in a particular field – is an important method to separate real scientific ideas and conclusions from pseudoscience, cargo cult science, and other beliefs. A scientific theory is not a wild and arbitrary guess, but it is built upon a foundation of scientific knowledge that itself is based on evidence accumulated from data that resulted from scientific experimentation. A scientific theory is considered to be the highest scientific principle, something that is missed by many science deniers. In addition, a scientific consensus is formed by a similar method – the accumulation of evidence. I have written frequently about the scientific consensus because it is one of the most powerful pieces of evidence in a discussion about critical scientific issues of our day – evolution, climate change, vaccines, GMOs, and many areas of biomedical knowledge. This tome has one goal – to clarify our understanding of the scientific consensus, and how we arrive at it. Through this information, maybe we all can see the power of it in determining what is real science and what are policy and cultural debates. Let me repeat myself. The scientific consensus is based on the consensus of experts in the field based on the evidence, usually published in peer-reviewed journals. It’s always about the evidence. Moreover, since science is not a democracy, there is no formal vote to create a scientific consensus. Occasionally, respected scientific societies will often publish a public statement on the scientific consensus for a particular scientific idea. Now if you’re thinking that a bunch of cranky scientists get together in a room somewhere and hash out the particulars of the consensus, that’s not how it works. In reality, a scientific consensus constitutes a huge body of scientific studies that all agree with and support one another. Scientists come to this agreement as a result of the consistent evidence, not because of their personal opinions or a priori conclusions. And it evolves over time. So like conflating scientific theory with guesses, we shouldn’t conflate a scientific consensus with a political one. As the quality and quantity of evidence are accumulated over time, the consensus begins to coalesce. It’s never a sudden moment of intellectual clarity, though that has happened. Darwin’s original theory of evolution was, arguably, one of those moments. On the other hand, if a minority of scientists in the field make it seem like there is a debate, their opinion matters only if they provide the breadth and depth of evidence that could reverse the consensus. Sure, a change in the consensus could be from one scientist standing at the back of a conference room saying, “my evidence disagrees.” If their evidence is strong and repeatable, maybe it will change the thinking. But it’s not some gadfly, without any evidence on their side, making unfounded claims. Moreover, it’s important to note that a consensus, or its more formal cousin, a theory, are not religious dogma. They aren’t incontrovertible. They aren’t irrefutable. They are provisional, meaning science is open to new data that might change the consensus (or the theory). When Charles Darwin described the basics of evolution 150 years ago, he didn’t know about DNA and genes. Our current theory of evolution is more detailed and includes genetic changes as one of the fundamental mechanisms of the fact of evolution. Evolution is an observable fact. The theory of evolution describes the predictable mechanisms that drive evolution. As we learn more and more from the fossil record and from an observed phenomenon, the scientific theory of evolution does evolve, much like a scientific consensus. A scientific consensus is based on the quantity and quality of evidence published in peer-reviewed journals. There’s no meeting with a bunch of scientists that come to this consensus. It forms over time. Like all scientific principles, a consensus is provisional. It can be changed with new evidence of high quality and quantity. Of course, for many of these scientific ideas, it’s hard to imagine that ever happening. Consilience of Evidence – Many different fields of science all contribute to the understanding of major scientific principles. For a theory, such as anthropogenic climate change, scientific fields that contributed to that knowledge range across biology, geology, chemistry, and other natural sciences. 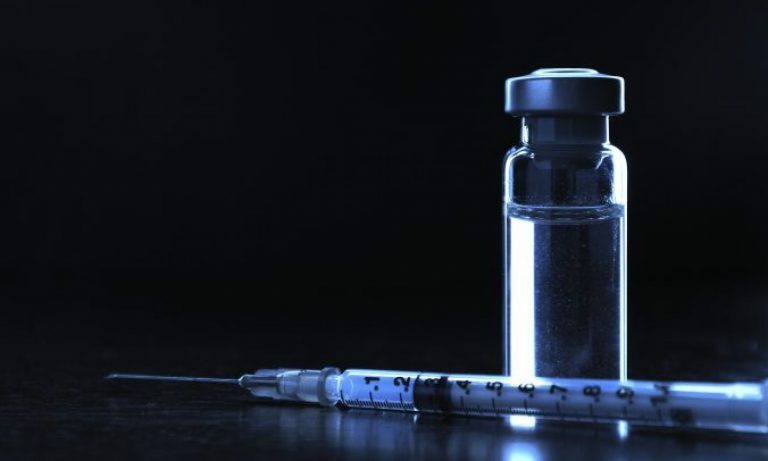 Our acceptance of the safety and effectiveness of vaccines is supported by research in diverse fields like epidemiology, public health, microbiology, immunology, virology, and many others. It’s not one subspecialty of science that builds the consensus, it’s several. Social calibration – The experts involved in forming a scientific consensus agree on standards for evidence – and this standard is ridiculously high, which is why it is so powerful. Those in the pseudoscience world reject certain gold standards of clinical research, like double-blinded, randomized clinical trials, which places a large barrier to having their “alternative medicine” ever be supported by a scientific consensus. Pseudoscience, on the other hand, lacks evidence that meets these ridiculously high standards. Thus, we actually have a consensus that homeopathic remedies lack any active ingredients and have no plausible biological mechanism. So the consensus does work both ways, to support scientific knowledge that is evidence-based, and reject beliefs that lack similarly powerful evidence. Social Diversity – Having researchers from many cultural and economic backgrounds provides diversity that helps eliminate social biases as a cause of an error. For example, the published literature on the safety of GMOs has provided agreement from researchers in countries around the world from various cultural backgrounds. If the evidence of safety only came from middle-class white scientists, whose parents are farmers, and who live in St. Louis, Missouri only 5 blocks from Monsanto headquarters, we might rightfully suspect the consensus. But in general consensus is formed by the weight of evidence, and to get that weight requires research from nearly everywhere on the planet. I know, I’m beating a drum about evidence, but that’s the foundation of scientific ideas. Let’s be clear, gathering evidence that supports any scientific idea isn’t easy. And this evidence isn’t derived from a Google search, with no critical analysis of the quality of said evidence. A scientific consensus is formed by experts, who are substantially more knowledgeable than most of us in the field being discussed. Let’s take vaccines as an example. To understand just a part of the science of vaccinations requires research into the fields of immunology, virology, epidemiology, infectious diseases, physiology, and possibly dozens of other areas of the biomedical sciences. It is simply impossible for one person to be an expert across all of those fields. Thus, to develop just one vaccine, numerous experts, across a large number of biomedical disciplines, are involved. I have tremendous respect for Paul Offit – not only is his knowledge of vaccines based on his own education and research but also on the backs of research from hundreds of other researchers over a century (at least). Evidence doesn’t come from a few hours on Google. Proper evidence is derived from researchers who spend years looking at small parts of the larger picture. And then there are hundreds or thousands of researchers working on their small part of the picture. The fact of evolution doesn’t rely upon one article or book – in fact, Charles Darwin forms only one small part of the story of evolution, despite what some people believe. There are over 500,000 articles on PubMed that discuss evolution – and PubMed only covers a portion of scientific research, excluding many journals that focus on geology, paleontology, and climatology. Google Scholar lists over 5 million articles that present evidence of evolution. You might be an aspiring creation science evangelist, and think you’ve got the best argument ever to debunk evolution. Well, you will get nowhere in this discussion unless you can present published evidence of high quality. And the way you do that is to get a substantial scientific education, do the hard research, publish your work, and stand up to criticism. But making it a “debate” about your creation myth vs. science has been done over and over. And the evolution side won long ago. The same for the other big scientific issues of our time – climate change, GMOs, vaccines, and many others. The scientific consensus for anthropogenic climate change, the safety of GMOs, and the safety and effectiveness of vaccines are huge, again based on mountains of data. These consensuses will not collapse with one error here or there. They will not collapse because some crackpot publishes a contrary article in a minor journal. If there’s one thing that I wish I could impress upon the science deniers is that cherry picking one or ten articles that seem to contradict the established consensus doesn’t invalidate the consensus. Cherry picking the articles that support your preordained conclusion, while ignoring the vast majority that supports the consensus, is just bad research. Very bad research. You’d flunk out of any academic program if you did that. These are not scientists voting on a consensus. Photo by Edwin Andrade on Unsplash. Sometimes, the scientific consensus is criticized as being a logical fallacy – an appeal to authority. However, it’s misused in this case. Generally, an appeal to authority becomes a logical fallacy when a presumed authority makes an argument outside of the authority’s field of expertise, in a topic in which the authority is biased. Clearly, one can appeal to authority if the evidence supports the claims of the authority. For example, a biochemist can be an authority on evolution. In fact, I would expect nothing less. However, there are PhD level biochemists who are creationists – these are false authorities because they have no or disputed evidence for their claims. Climate change denialism is filled with false authorities. Over 97% of papers published about climate change support the fact of human-caused climate change. If science were actually a democracy, this would be a landslide election. Yet, climate change deniers cherry-pick statements from false authorities and bad research to claim that there’s a “debate.” There is no debate. Not only are 97% of published papers in support of climate change, but also those papers are published by leading researchers in dozens of different fields. There are geologists, climatologists, archeologists, paleontologists, meteorologists, physicists, chemists, botanists, and dozens of other fields of science that have published tiny bits of evidence that form the solid foundation of the consensus. Once again, like evolution, the evidence is the size of a literal mountain. And these authority figures in all of these fields do not suddenly rise to prominence after a couple of hours Google searches. To become a competent immunologist, one of the fields that are basic to vaccine research, It takes years of education and research to understand, let alone describe, the nearly infinite complexity of the immune system. The anti-vaccine religion understates this complexity, making us believe that vaccines harm it, and a dose of kale will fix it. To understand even the basics of immunology, one needs to grasp complex sciences like biochemistry, cell biology, physiology, and probably a half-dozen other fields of biology. Understanding the human immune system, an incredibly complex physiological response to the environment, isn’t something that can be grasped in a few hours. Science is hard, very hard. To get to be an expert on vaccines, someone who publishes in real journals, takes years of study and research. I don’t know why people think that science is so easy that they can grasp years of education and training in just a few minutes. Why do some people believe that cherry picking Google results for an hour is somehow equivalent to someone who spent 4 years in undergraduate science education, another 4-5 years in graduate or medical (or both) education, and another decade of postdoctoral research? Because it is not equivalent. And this isn’t because I believe that science is somehow inaccessible. It’s because it’s hard. Becoming an expert in any field takes time. Every time I pick up my iPhone, I marvel at a computer of that power is in my pocket. And I don’t pretend to know how to design the hardware or code the software that makes it work. I don’t presume that I could spend an hour on the internet to become an expert. For example, even after eight years of formal education in immunology, it probably takes another decade of research, writing, presentation, criticism, and publication to be declared an expert in the field. And whatever claims that they make about immunology must be supported by evidence – they don’t get a waiver from that standard because they have that immunology degree. There are actual false authorities in immunology, like Tetyana Obukhanych, who, on the surface, appears to be a real expert or authority, but she presents no published scientific evidence that supports her public opinions. That’s where the logical fallacy of false authority arises. That’s why, as Dr. Novella states, we rely upon the expert opinion, though as skeptics, we still have to weigh the evidence, even if presented by experts. As I wrote in articles on skepticism and debunking pseudoscience, large amounts of high-quality evidence must be used to form a consensus, or, alternatively, shift us away from the consensus. What makes the scientific consensus so powerful, ideas that should be respected is that the conclusions are crowd-sourced from many experts across many disciplines. Moreover, the conclusions are self-correcting as new evidence is provided. Opinions that aren’t included in the consensus rarely get supported not because of some conspiracy, but because the level of evidence has not reached the quality or quantity to be considered. Generally, there are two broad condemnations of the scientific consensus – science has been wrong before, and corporate influence. Let’s start with the false flags and tropes that try to claim that science gets it wrong all the time. But that’s just not true. Scientific evidence showed that smoking was harmful, despite the myth that “all” scientists thought that smoking was safe. That never happened except in the false mythos created by science deniers. “Science” never claimed that the world was flat – Pythagoras in the 6th-century BCE and Parmenides in the 5th-century BCE wrote that the earth was, in fact, a sphere. In 330 BCE, Aristotle used observational evidence that the Earth was spherical, and reported on an estimate on the circumference. Real science develops over time, with ideas being floated then shot down as evidence is published. So, if you look at the history of some scientific topic, you might look at it and say “see, science was wrong there.” Maybe, but it was based on the best evidence available at the time. We once believed that diseases spontaneously arose because of demons or something. Now we have the germ theory, based on mountains of evidence again, that states that many diseases are caused by microorganisms. And yes, there are people who deny that, especially in the anti-vaccine religion. As I said before, scientific ideas are provisional. They can be fine-tuned and modified based on new information. There is currently some evidence that we need to look at a potentially new mechanism of evolution – it doesn’t displace what we know, it improves it. And no, we aren’t wrong about evolution, we know more about what drives evolution which helps improve the scientific theory. What does the recent study on the climate change issue say about corporate influence? Combining this study with experience in other areas, like evolution, vaccines, and genetically modified organisms, I think we can make some generalizations. First, it is interesting to note that the oil industry is perhaps the most wealthy and powerful industry of any of the industries involved in the above public debates. They have more resources and influence than Big Pharma, Big Agro, or Big Evolution (whatever that is). It also seems clear that they were actively trying to influence the scientific consensus. Despite their motivation, influence, and resources they were unable to affect the scientific consensus on climate change. They could not manufacture a consensus. All they could do is sow doubt in the real scientific consensus, and even then only among those ideologically aligned, not with the public at large, and not within scientific circles. This fact is often given as a direct refutation of the claim that Monsanto and Big Agro have manufactured a scientific consensus on the safety of GMOs. 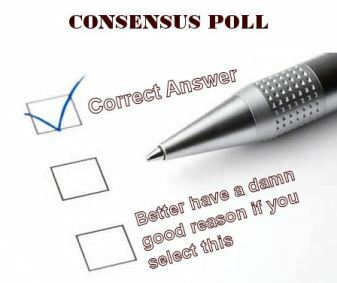 At the same time they argue there is no consensus. First – yes there is. There is an international scientific consensus on the overall safety of GMO technology and the current GMO products. This consensus is at least as strong, and I would argue stronger, than the consensus on climate change. Biotechnology companies have nowhere near the resources as the fossil fuel industry, and it is frankly absurd to argue that they were somehow able to use their money and influence to manufacture a fake scientific consensus on GMO safety. They would have to have secretly controlled the outcome of hundreds of apparently independent studies. The same is true of vaccine safety. Let’s put these in numbers that you can hug and caress. The top 15 “Big Pharma” companies had total revenue of slightly greater than US$500 billion in 2014. That sounds massive, doesn’t it? Exxon-Mobil has that level of revenue all by itself. And yet, despite a secret policy of climate change denial, it failed miserably to influence the scientific consensus on climate change. Influence from Big Pharma and Big Agra have even a lower chance of having any effect on scientific consensus. Why is it so difficult for corporations to influence the scientific consensus? It goes back to how the system works. The consensus is built on evidence, which is repeated over time, it is self-correcting, and minority “opinions” (not evidence) lack the standing in the field to overwhelm the actual evidence supporting the consensus. It also includes hundreds, thousands or hundreds of thousands of researchers – only the mind of the conspiracists could imagine a world of social media, news outlets, and principled investigators that would quash the fact that Big Pharma was suppressing the cure for cancer. That secret would be out in a second. That’s what’s great about the scientific consensus and other scientific principles. They are always out in the open. They always rely on published and public evidence. They always come from multiple, independent researchers. The scientific consensus is one of the cleanest examples of well-formed crowdsourcing! In some cases, there are independent scientific groups that proclaim the scientific consensus. The American Association for the Advancement of Sciences is an international non-profit organization that which promotes cooperation among scientists, to defend scientific freedom, encourages scientific responsibility, and supports scientific education and science outreach for the betterment of all humanity. It is the world’s largest and most prestigious general scientific society and is the publisher of the well-known scientific journal Science. It occasionally makes statements on the scientific consensus. If you accept the consensus on climate change or evolution but reject it for GMOs because each fit your pre-conceived view of the world, you are a science denier. Yes, I’m tough about this, because it shows the level of hypocrisy in these individuals. You don’t get to accept the power of the consensus behind anthropogenic climate change but reject it for GMOs, just because you feel like it. The evidence for both is so huge, so overwhelming, your gut feeling or opinion is completely irrelevant. I keep finding it ironic that GMO deniers and climate change deniers use the same exact “arguments” to reject science. They accept the pseudoscience that supports their a priori conclusions while rejecting the science that doesn’t fit. That’s why many many writers agree that GMO deniers are the climate change deniers of the left. This isn’t easy, but a consensus is not built on magic, debates, or even magical debates. It’s built on high quantity, along with high quality, of evidence. There is a hierarchy of evidence (see Note 2) from utterly useless (anything in Natural News) to really bad (primary research described in an abstract presented at a scientific meeting as an example) to outstanding. At the top of the list of scientific research are systematic reviews or meta-analyses, which really are the foundation of powerful scientific consensuses, especially in the area of medicine. A systematic review or meta-analysis examines all of the evidence for a particular topic, attempts to determine which evidence is weaker (based on statistical results and experimental design which might influence the results), and finally assembles it all into one study of studies that is complete and representative of all the research that has been done in one specialized field. Instead of consciously or unconsciously (or deviously or innocently) choosing the papers that support your point of view, meta-reviews use science on science. These reviews are fundamental in creating a consensus. This isn’t easy work (as is everything else in science, which is something that I believe is always ignored by science deniers). Each study ever published in the field must be closely reviewed. Data that might not have been published needs to be tracked down. Authors of previous research might be contacted to explain information. Then all of the data is assembled into one huge statistical analysis. So instead of a clinical trial containing only 250 or 2500 patients, if you take all the trials ever done, you might have one of hundreds of thousands of patients. When the authors of the systematic analysis assemble all of the data, they find the summary effect. If it is near the line of “no effect”, the researchers can conclude that the analysis shows no effect from a drug. Above is an example of systematic analysis in a visual form called a “blobbogram,” although more formally as a Forest plot. Each of the horizontal lines represents an individual study, with the solid dot equal to the mean, and the horizontal line itself the error around the mean. The one vertical line, at 1, is the line of no effect. In this graph, the diamond point is the summary effect, which implies that this imaginary drug has some small effect. Now, this type of systematic review is generally used in evidence- or science-based medicine. There are, however, large statistical reviews of scientific knowledge in many fields. A recent powerful review article discussed how climate change would affect public health. One of the best organizations to produce systematic reviews is the Cochrane Collaboration, a non-profit academic organization that has produced meta-reviews of evidence in important questions in medicine for over 30 years. I consider their reviews to be the gold standard of research, though I think they have some tarnish on the gold at some times. A few of their reviews have tended to show a strong selection bias of their authors. The scientific consensus is a powerful tool to determine what is scientifically accurate and what is not. The scientific consensus is based on evidence, generally published in high-quality peer-reviewed journals. The evidence is repeated across many locations and over a large amount of time. The scientific consensus can be described as a meritocracy, that a consensus only forms based on the merit of the experts and their evidence. Logic and evidence are the only qualities that matter. A scientific consensus represents the best knowledge of the best experts in a particular field. This is not a logical fallacy of the appeal to false authority, because the evidence is always the basis of the consensus. Pointing out past examples of rejected scientific consensus is ridiculous. Most of the “claims” didn’t even represent the scientific consensus of the time. Even more, what is presented as “scientific consensus” were not at the level of scientific knowledge that we have today. The scientific consensus says that evolution is a fact. The scientific consensus says that climate change was caused by humans and will probably be dangerous to the planet. The scientific consensus says that vaccines are safe and effective. If you want to reject any of those facts because it hurts your feelings? Get over it. If you want to reject any of those facts because it contradicts your belief set? You’re simply a science denier and get over it. If you want to reject any of those facts because it doesn’t fit your preconceived political view? Time to learn real science. Editor’s note: This is an updated article that was originally published in December 2013. It has been revised and updated to correct some grammatical and spelling errors, improve formatting, and repair broken links. I have written several articles on how to distinguish and rank good research from bad. See this article, this article, and if you’re really energetic, this one. Cook J, Nuccitelli D, Green SA, Richardson M, Winkler B, Painting R, Way R, Jacobs P, Skuce A. Quantifying the consensus on anthropogenic global warming in the scientific literature. Environmental Research Letters 2013 May 15;8(2). doi:10.1088/1748-9326/8/2/024024. Hess JJ, Eidson M, Tlumak JE, Raab KK, Luber G. An evidence-based public health approach to climate change adaptation.Environ Health Perspect. 2014 Nov;122(11):1177-86. doi: 10.1289/ehp.1307396. Epub 2014 Jul 8. Review. PubMed PMID: 25003495; PubMed Central PMCID: PMC4216160.